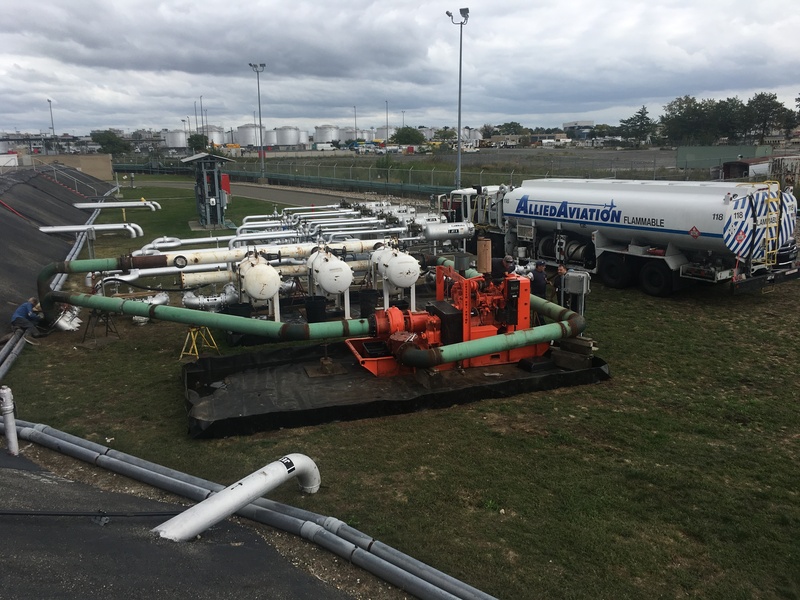 Meccon was hired by Allied Aviation (fuel system operator) and the JFK Fuel committee to certify 11 – 12" & 10" existing transfer mains. 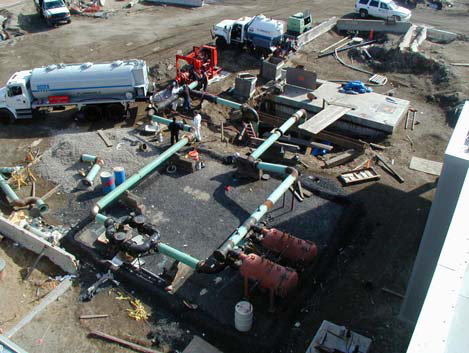 Meccon had to layout and construct 5 different flushing stations to create a loop flush closed system within the active Fuel Storage Facility. 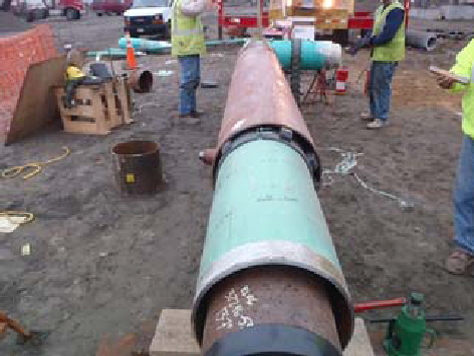 We had to match the existing piping configuration without causing any fueling delays. We were able to circulate roughly 33,200,000 gallons of jet fuel over 36 days @ 75psi and 3000fps. Due to the quality control we had and the flushing plan not one gallon was wasted and all the fuel flushed was certified clean per ATA 103 & ASTM D-1655 Fueling standard. 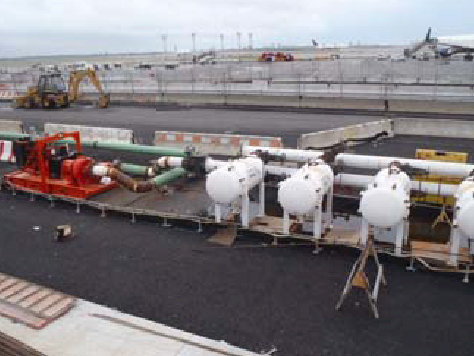 All 11 lines were put back into service to give JFK more pumping capacity than before. 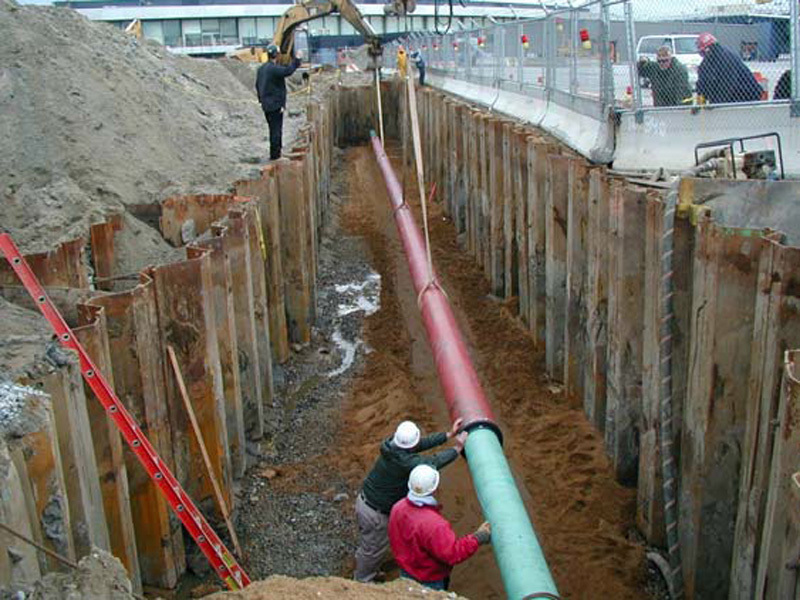 Construct a new double wall underground jet fuel hydrant system consisting of carbon steel containment and triple wall pipe casing/containment system. 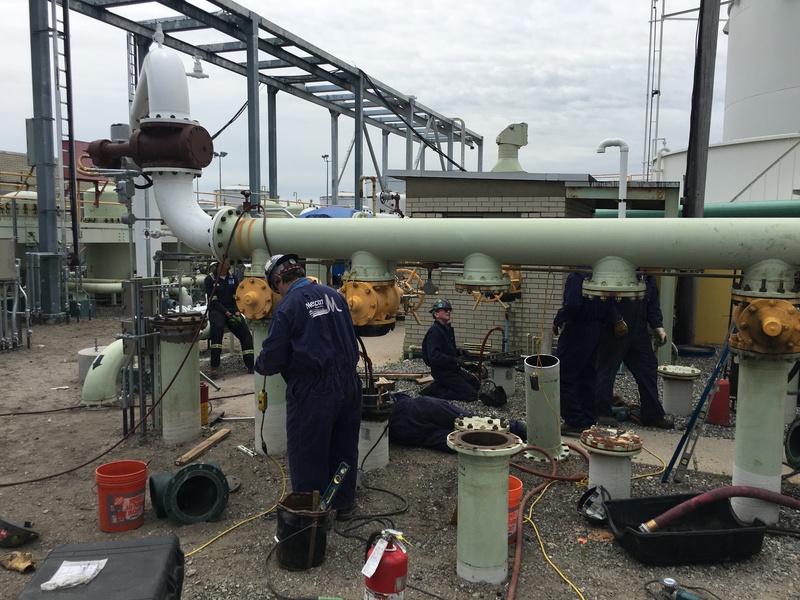 The work included the construction of four (4) new concrete isolation valve vaults and piping modifications to an existing main jet fuel isolation valve vault. 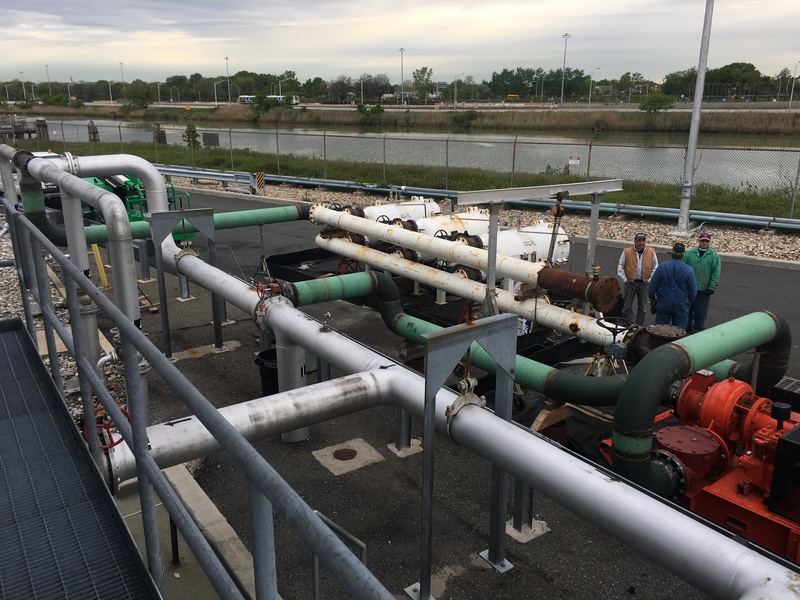 Upgrades to the Terminal 4 primary pumping system included combining the existing individual pump systems into a common discharge header and an integrated pump control system. 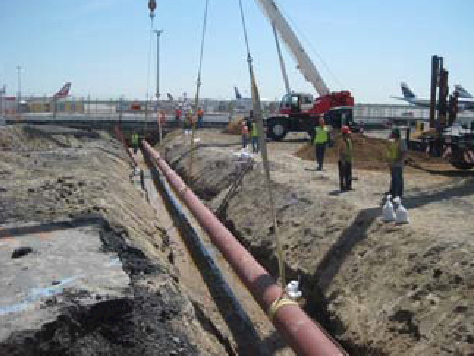 New jet fuel piping testing and commissioning was designed and performed by Meccon including a loop flush system for the new Concourse Hydrant System and flushing into frac tanks to commission the existing aircraft "hardstand" parking positions. New fuel mains consisting of 10", 12", 14" and 16" piping. New 12" fuel line in a 16" casing with trench sheeting protection. 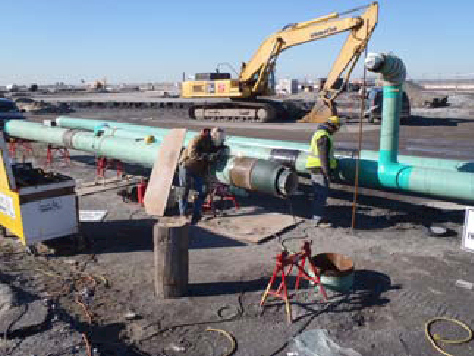 Relocation of ten (10) existing Jet A underground fuel mains (10", 12", 14" & 16"); decommissioning, abandonment and removal of fuel lines; construction of new 28 gate commercial concourse, concrete isolation valve vaults, cathodic protection system, emergency fuel shutoff system (EFSO), testing, flushing and commissioning piping systems for active service. 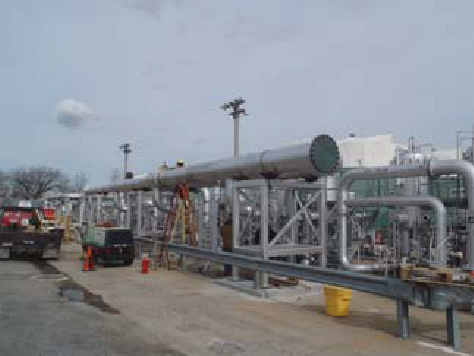 Meccon performed this project on a negotiated Cost Plus a Negotiated Fee Contract. 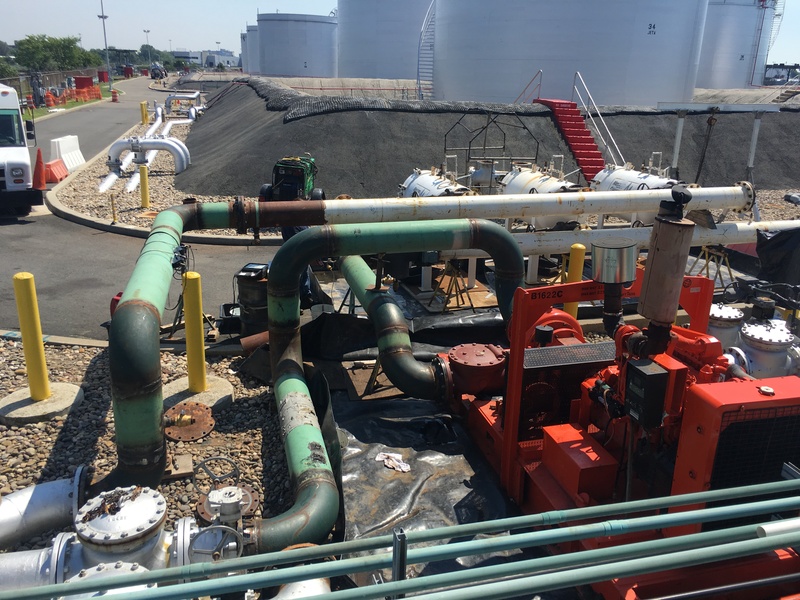 Work was coordinated and constructed to meet the phasing requirements of American's Terminal Redevelopment Program andcoordinated with the Port Authority of New York & New Jersey to provide fueling services, without interruption. Construction of New Concrete Isolation Vaults. Loop Flushing of new and existing fuel lines. Preparation of subcontracting bid packages. Coordination with building and site work contractors. 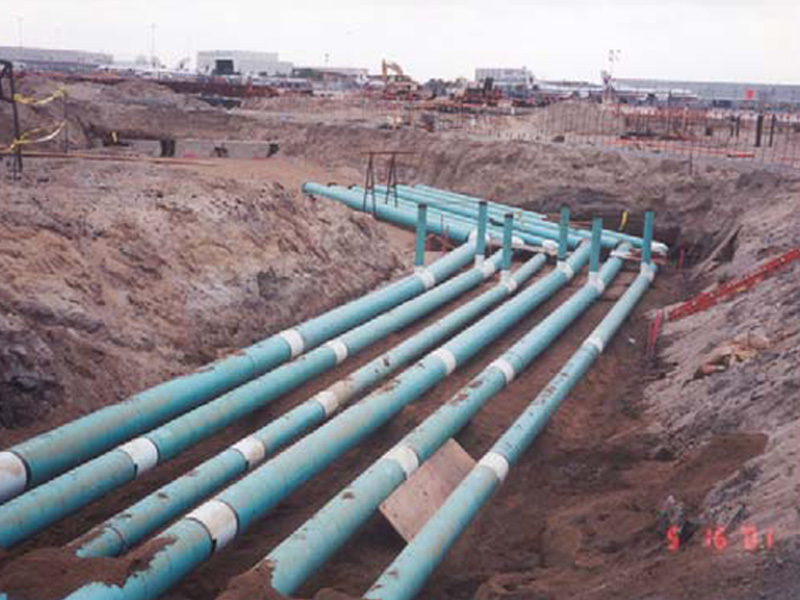 Coordinate engineering reviews and construction document issuance. Request for information (RFI) resolution. 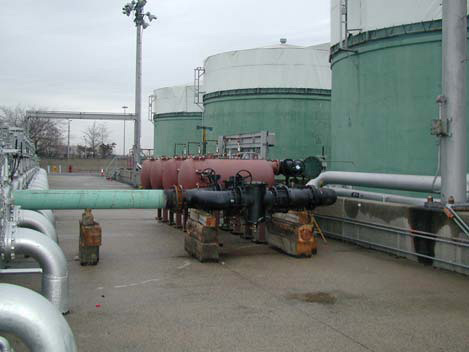 Fuel system project management and field supervision. Fuel system quality control, non-destructive testing program. Direct subcontracting of local contractors. Implementation of Disadvantaged Business contracting program. 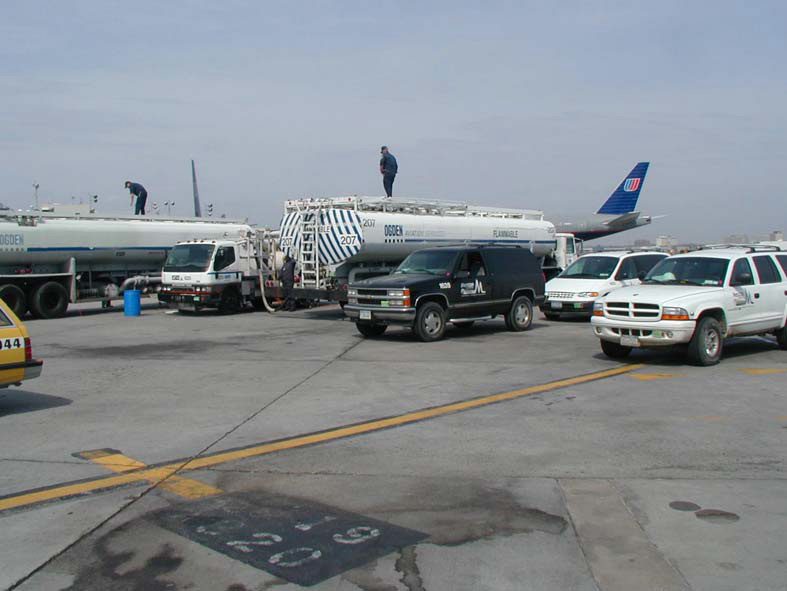 Development and implementation of fuel line flushing procedures and program. Implementation of fuel system Environmental Protection Program.